Now , everyone of us would have heard about this route ,which links major ancient civilizations of China and the Roman Empire . Silk was transported from China to the Roman empire starting in the first century BCE, in exchange for wool, silver, and gold coming from Europe. Not only trade but the Silk Road also became a vital route for the spread of knowledge, technology, religion, and the arts, with many trading centers along the route—such as Samarkand in modern-day Uzbekistan—also becoming important centers of intellectual exchange . The Silk Road originated in Xi’an in China and travelled alongside the Great Wall of China before crossing the Pamir Mountains into Afghanistan and on to the Levant, where goods were loaded on to ships destined for Mediterranean ports. It was rare for tradespeople to travel the full 4000 miles, and so most plied their trade on only sections of the route. As the Roman Empire crumbled in the fourth century CE, the Silk Road became unsafe and fell out of use until the 13th century, when it was revived under the Mongols. Italian explorer Marco Polo followed the Silk Road during the 13th century, becoming one of the first Europeans to visit China. But the famous route may have spread more than trade and cross-cultural links—some scientists think it was merchants traveling along the route who spread the plague bacteria which caused the Black Death. The spice route refers to the trade between historical civilizations in Asia, Northeast Africa and Europe . Spices such as cinnamon, cassia, cardamom, ginger, pepper, and turmeric were known and used in antiquity for commerce in the Eastern World . These spices found their way into the Middle East . Early writings and stone age carvings of neolithic age obtained indicates that India's southwest coastal port Muziris, in Kerala, had established itself as a major spice trade centre from as early as 3000 B.C, which marked the beginning of the spice trade. Kerala, referred to as the land of spices or as the "Spice Garden of India", was the place traders and explorers wanted to reach, including Christopher Columbus, Vasco da Gama, and others . Unlike most of the other trade routes in this list, the Spice Routes were maritime routes linking the East to the West. Pepper, cloves, cinnamon, and nutmeg were all hugely sought-after commodities in Europe, but before the 15th century access to trade with the East was controlled by North African and Arab middlemen, making such spices extremely costly and rare. With the dawning of the Age of Exploration (15th to 17th centuries), as new navigation technology made sailing long distances possible, Europeans took to the seas to forge direct trading relationships with Indonesia, China, and Japan . The Dutch and English especially profited from the control of the spice trade in the East Indies—modern-day Indonesia, especially the area known as the Moluccas, or Spice Islands, which were the only source of nutmeg and cloves at that time. Wars were fought, lands colonized, and fortunes made on the back of the spice trade, making this trade route one of the most significant in terms of globalization. The Incense trade route comprised a network of major ancient land and sea trading routes linking the Mediterranean world with Eastern and Southern sources of incense, spices and other luxury goods, stretching from Mediterranean ports across the Levant and Egypt through Northeastern Africa and Arabia to India and beyond. The incense land trade from South Arabia to the Mediterranean flourished between roughly the 7th century BC to the 2nd century AD. The Incense Route served as a channel for the trading of goods such as Arabian frankincense and myrrh; Indian spices, precious stones, pearls, ebony, silk and fine textiles; and the Horn of African rare woods, feathers, animal skins, Somali frankincense, and gold. The transport of amber has been since ages , with archaeological evidence revealing amber beads from the Baltic having reached as far as Egypt. 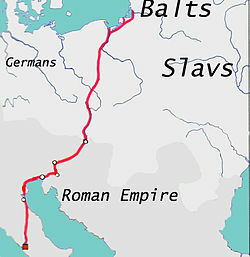 An Amber Road linking the Baltic with the rest of Europe was developed by the Romans, who valued the stone as both a decorative item and for medicinal purposes. Tea route covers for over 6000 miles , through the Hengduan Mountains—a major tea-producing area of China—through Tibet and on to India. The road also crosses numerous rivers, making it one of the most dangerous of the ancient trade routes. The main goods traveling the route were Chinese tea and Tibetan warhorses, with direct trades of tea-for-horses and vice versa being the main goal of merchants plying the route. 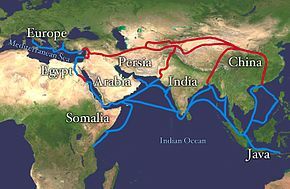 Parts of the route were used starting c.1600 BCE, but the entire route began to be used for trade from about the seventh century CE, and large-scale trade was taking place starting in the Song dynasty (960–1279). Time passed and technology ran all over , there was a time when people used to search for the contractor of the trucks to get their goods transported . But with the advancement of technology , you can now book a truck online between two locations of your choice and truck also of your choice , using the websites like GoodsOnMove , which can save your time and money and also makes hassle free booking possible . 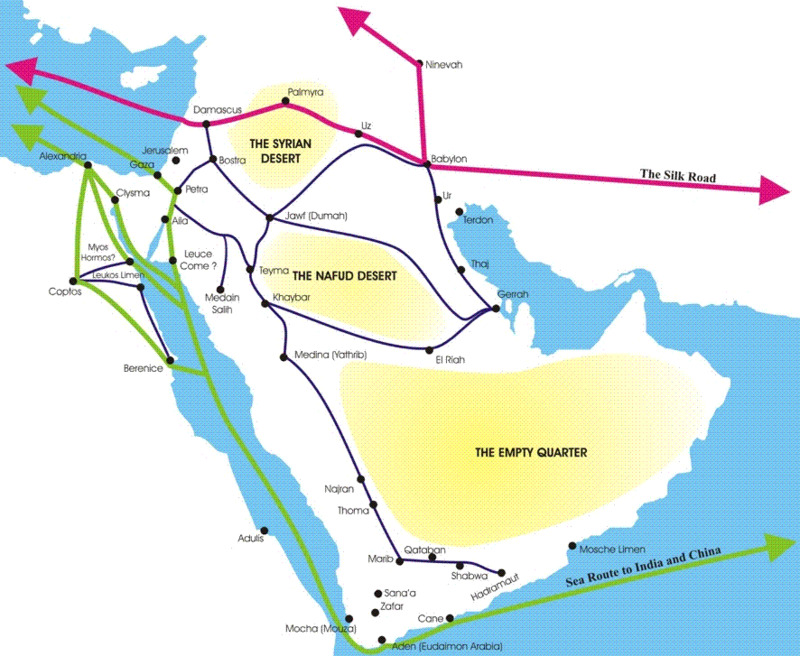 No Comment to " Top 5 Ancient Trading Routes "